Since 1988, bringin’ you the best blues in Delaware Valley, Blues Hall of Fame inductees The Little Red Rooster Blues Band! The band bringing their magic to a packed house at Puck, in Doylestown, PA. The Roosters accompanying the great Ronnie Earl! Harmonica madman Dave Holtzman digs deep, to showcase some fancy footwork! Groovin’ on the latest in blues fashion, from the 2016 winners of the Best Band in Bucks County competition, the Little Red Rooster Blues Band! 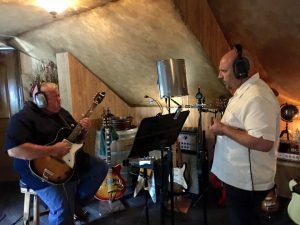 The band’s latest release reached Living Blues Radio Chart’s Top 25 in July 2018! Playin’ the Blues Since 1988. 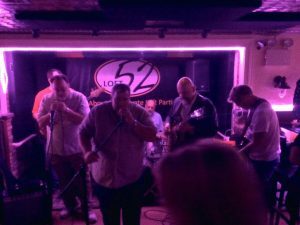 Since 1988, The Little Red Rooster Blues Band has brought its unique blend of Chicago-style and West Coast Jump Blues to the Delaware Valley. Be sure to check our SCHEDULE page to see where we’ll be next, and check our MUSIC page to see where you can purchase music from our 7 CDs. But what are you waiting for? Come on in and see what we’re all about! In October of 2015, Roosters’ bandleader and guitarist Kevin McCann was diagnosed with Guillain-Barré Syndrom, a rare disease that suddenly attacks the central nervous system and causes near-fatal paralysis. Kevin spent months in a variety of hospitals and rehabilitation facilities, along with several more months in physical therapy, working to regain basic motor skills. Here is an ABC News feature on Kevin that talks about some of the challenges he encountered during his recovery. 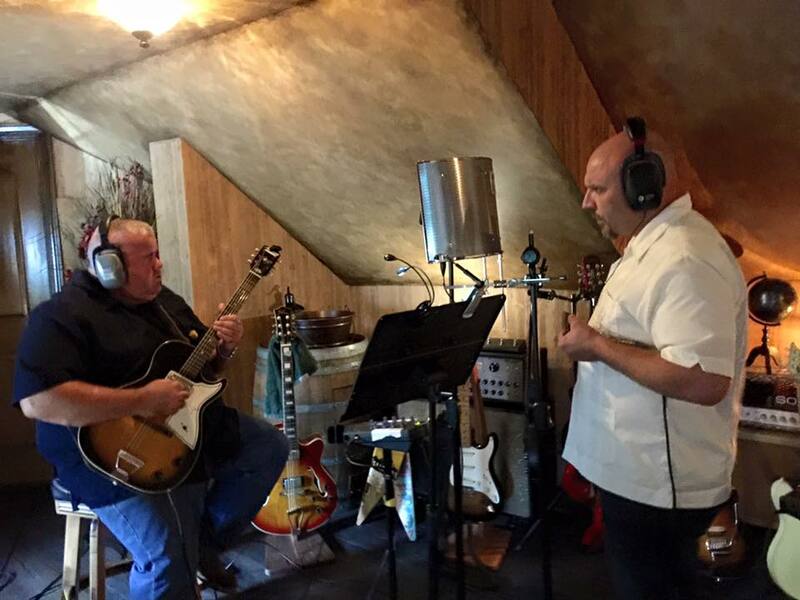 Kevin McCann and Dave Holtzman in the studio during the recording of Hijinx and Tomfoolery. 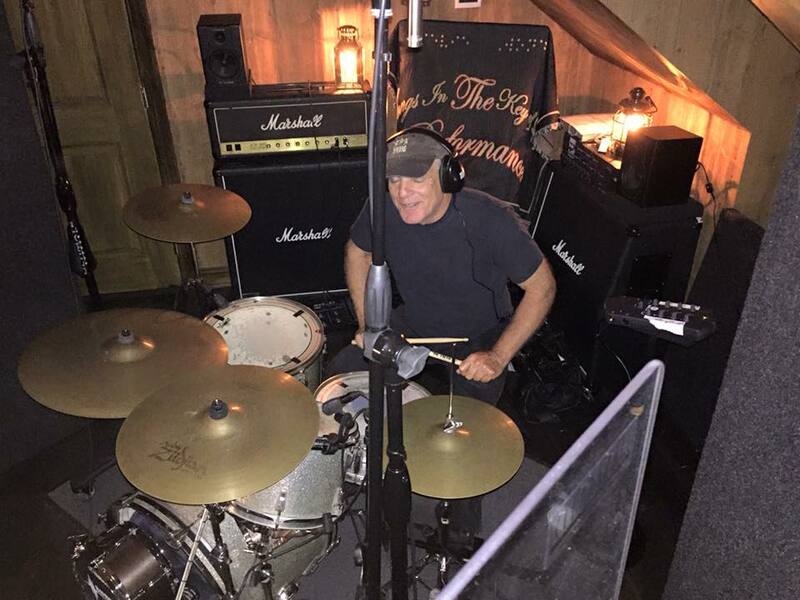 Bob Holden on drums, in the studio during the recording of Hijinx and Tomfoolery. One of many outrageous jams that occurred at the Wednesday Night LRRBB Jam at Rob’s Loft in Doylestown, PA.